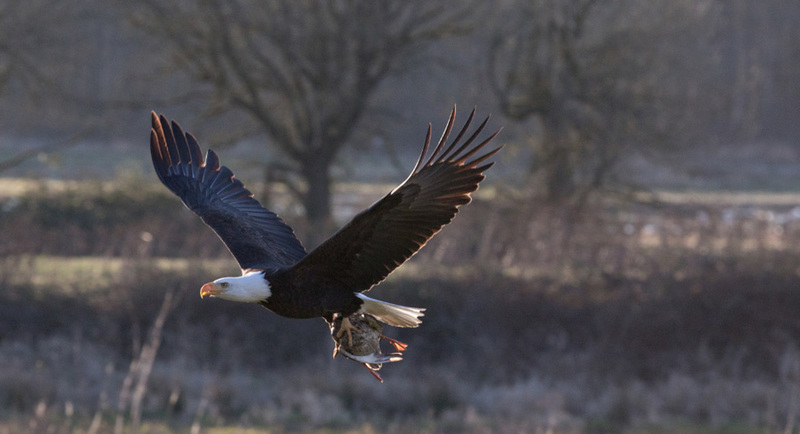 Wildlife - The City of Ridgefield, Washington | Forward Thinking. Rooted in Tradition. 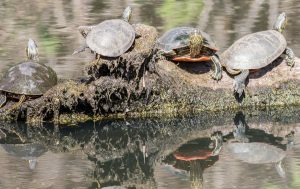 The Ridgefield National Wildlife Refuge allow community members and visitors to get up close and personal with local wildlife, ecosystems and birds. The Ridgefield National Wildlife Refuge was established in 1965 to provide wintering habitat for the dusky subspecies of the Canada goose. Today, the Refuge preserves both habitat for wildlife, and evidence of the people who once lived here. Along the lower reaches of the Columbia River lies the Ridgefield National Wildlife Refuge (NWR). The approximately 5300 acres contain a lush mixture of wetlands, grasslands, riparian corridors, and forests. These habitats, combined with a mild and rainy winter climate, provide the ideal environment for many species including neotropical song birds, wintering waterfowl, and other local native species. The refuge consists of five sections, each unique in habitat and the wildlife that reside there. Two of these sections are open to public visitation and enjoyment, while the remaining three are kept as sanctuary for wildlife to rest and escape human disturbance. This maintains an important balance of allowing those species less tolerant to human presence to thrive in an increasingly urban area. The surrounding communities then get the chance to view and experience wildlife and habitat, receiving the many benefits of being out in nature. Visitor activities include trails, an auto tour route, and many opportunities for learning, observing, and photographing wildlife. The refuge also preserves the most intact archaeological site on the lower Columbia River, and evidence of at least 2,300 years of continuous human occupation. That history and culture is interpreted through the Cathlapotle Plankhouse built in 2005 and open to visitors on the weekends in the spring and summer. The Ridgefield National Wildlife Refuge is a place where people can share a bond with nature, and each other, by passing on outdoor traditions to new generations. As the population of the region increases, the refuge will become even more important to wildlife and those seeking to connect with nature. For more information, see www.ridgefieldfriends.org/volunteer-support/ or www.fws.gov/refuge/ridgefield.